Jay Besemer’s most recent poetry collections are A New Territory Sought (Moria, $12.95) and Aster to Daylily (Damask Press, $10). 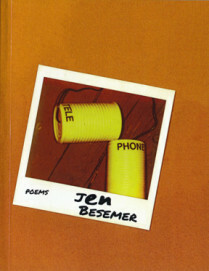 As Jen Besemer, he also authored Telephone (Brooklyn Arts Press, $14.95) and Object with Man’s Face (Ohm Editions, $10), and has work in Troubling the Line: Trans and Genderqueer Poetry and Poetics (Nightboat Books, $27.95). Magus Magnus’s books include The Re-echoes (Furniture Press, $12), Idylls for a Bare Stage (twentythreebooks, $12), Heraclitean Pride (Furniture Press, $14), and Verb Sap (Narrow House, $12). His Poets Theater work has been presented around the country; several of his poems and an Idyll appear in the latest two editions of Pearson Longman’s anthology textbook, Literature. Jay and Magus met in autumn of 2013 at a poetry reading in Chicago. The dialogue below is adapted from their ongoing correspondence on poetics and performance. MAGUS MAGNUS: In getting to know your book Telephone, I sense the momentum of growing resolution: “we declare our intent,” “the cry of tomorrow advancing.” The book unfolds with cumulative implication: “an exile into sincerity is your doom.” I find an ongoing, deepening engagement with the open question of “existence as a body.” This progression makes itself evident, even though one doesn’t necessarily read the pieces in the given order. 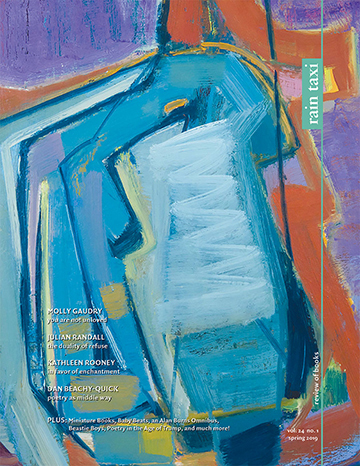 In fact, while sometimes I’d read each dialogue through as printed, from full call to full response, sometimes—almost as an imperative—I would flip forward to read a call stanza and then consider the matching (at least in order of appearance) response stanza: “my efforts rewarded by ripple of starlight” in so doing. JAY BESEMER: I think you’ve picked up on the things I was exploring and—for lack of a better concept—manifesting in the making of the book. The call-and-response relationship is not always logical, maybe not even perceptible through the workings of the imaginary. But I dissemble when I deny the link between my embodiment, my psyche, my life at large, and my words. That link isn’t always logical or perceptible—in fact I’d say that it’s usually quite obscure to the audience. But you perceive some of it. I want to break that pernicious idea that the source of poetry is always or should always be personal expression, the communication of one’s experiences and emotions. As a trans poet, that’s huge—I imagine a certain population of readers feeling upset that my work isn’t more consistently and narratively self-referential, as I’m claiming an identification but not attempting to represent it legibly in what I do. A good bit of my task these days is to allow those things to take up space somehow in my work, even if they’re not its origin, nor what it’s “about.” It feels necessary. MM: Call-and-response implies a back and forth, or progressive angle-to-angle, mobility. I perceive in Telephone a heading towards something momentous, touched by risk, and yes, as you say, an experience of the sacred making its way into the work. I think this is where authorship can’t be denied. Poetry can be momentous when there’s something at risk in a fateful manner—truth-telling, integrity, decision—and the fateful depends upon an element of the personal, however implicit. For some, my book-length poem The Re-echoes has been taken as a fairly abstract work, approachable only on the level of intellect, but it remains deeply important to me for being a reflection of steady “feel”—a personal immersion in Heraclitan flux. 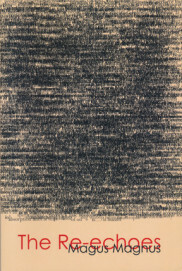 The piece often went forward by feel, and involved a strong spiritual relationship to what was being felt, or being felt for: a “listening close to the source,” rills from the source, that wellhead from Beckett’s Words and Music, ripples of thought, and more removed, more voiced, echoes off the canyon walls, a spring at the bottom somehow affecting tone and timbre. The word “spiritual” is at this point so useless, as is the word “reality” when relied upon for trying to get at the underlying, but I think poetry/the poetic has that capacity for drawing to the edge of what is knowable. JB: In The Re-echoes, the outward experience is somewhat different for readers than that of Telephone. You’re responding to a different text than I am in Telephone; you’re receiving a different “call”! But we’re both going into a Heraclitan flux, in terms of process, as well as in the reading experience offered in both books. When we first met I mentioned the way the poetic “trance of making” has become indistinguishable to me from the state of being I enter when I experience poetry, as a reader/audience member. This had a direct connection, in my mind, to the call-and-response process, because as an audience member I am hearing the call of whatever text I’m experiencing. I wonder how The Re-echoes used its source text—how were you hearing that text and what did it give you? MM: I make a distinction between source text and the word source, which I perhaps sacralize. Now, certainly there are other sources in The Re-echoes: found text, appropriations, homages—but most of the material is sprung from reverberations of collected words or phrases in my mind (or jottings in notebooks). I like how you say you’re hearing the call of whatever text you’re experiencing. I understand that, even as I agree you and I are responding to different “calls” in each of our books. In The Re-echoes, it’s true that the text itself frequently initiated what came next; I had to respond—as a reader—to the calling of the text. Yet, a more immediate listening (hearing) was primary to its composition, and key to the conscious intention of the work. I wanted to stay close to the source echoes, whether they are correctly interpreted as patterns and language in my own brain, neural firings, or the rebound of thought across the universal hollow inside my skull, or as Calling, Intimation, the Resounding Silence, music of the spheres. You mentioned trance. The listening in question is trance-like. In order to write, I always have to enter into a specific state of mind. To hear that calling, to listen; really, for me it involves a light trance—a requisite for my writing, and at this point a decades-long habit. Meanwhile, you equate the “trance of making” with the trance state of an audience, and I can see how this informs your sense of call-and-response as text responding to itself. What place do you then give to that “making” in the first place, the initiation of the text? Specifically in terms of poetry as “making,” as generating form in language. JB: I agree about the necessity of trance-like working states. I find that poetry is best understood for me as “making,” and the trance of making is necessary both in listening for the language that wants to come through me, and in locating the language that I might find in a source text. Earlier you said that “authorship can’t be denied” in the process of back-and-forth involved in poetic sacralization. I’m necessary to the processes I use, of course—my personal trance of making would be different from yours, or anyone else’s. I still initiate the text—I find it somehow, somewhere—and so my hands or eyes or ears or whatever are certainly necessary. My mind has to compile it, whether it’s taken from or responding to an existing text, or whether it is compiled from whatever internal language landscape I have access to. In Idylls, you’re talking more about text/performance as evocation than as an imitation—you’re after a bringing-forth of an original experience to share, rather than the conveyance/delivery/communication of an account of someone else’s lived experience (even if it is a fiction). And that’s key, because that’s what I’m after too, whether I make a purely verbal text or a hybrid form combining text with something visual or sound-based. But my performance work does not necessarily fulfill that “bringing-forth,” at least not in the same way an idyll would. In discussing this elsewhere, and in the introduction for Idylls, you describe (theatrical) “blocking in the imagination.” To me this seems linked to a call-and-response between the sacred/imaginary and the “real,” as well as to the trance of making. For me, what’s worthwhile is not communication but contagion. I don’t make poems so that someone else can understand my experiences, feelings, ideas—I make poems to invite audiences into their own experiences. MM: Performance as a bringing-forth of an original experience to share, as you put it (as contagion!—I like that) accords with my intention, yes—to bring forth something original, not mere delivery of an already set thing. The originality is a new moment created by the performance, and so that puts the performance on the level of an act, rather than representation. At least that’s what I want out of live performance: the living present, the actively expanded and experienced presence. Performance as a vital act. But then, this might just be what was always sought—and maybe why the art of the performer is called acting. The practice of blocking in the imagination brought greater awareness to the boundaries between interior and exterior, mind and world. We worked deliberately on three levels of reality/imagination: 1, the physical presence and being of the performer, and the physical space of the venue and everything/everyone in it; 2, the character, the imaginary being, taken on and embodied by the performer, and the detailed imaginary setting; and 3, the character’s inner life, whether memory, or fantasy, or projected interactions. It was easy to create lines between each of these levels, and so we were able to work on these levels: and yet, the line we created between 2 and 3—which was very practical, also discernible to the audience (for instance, the audience will know the placement of the imaginary moon within the theater space, as well as see with the character the remembered inside of a bar from earlier that night)—quite obviously is wholly imaginary. Yet what about the line between 1 and 2, 3? JB: Yeah, what about it? MM: We ourselves subjectively draw the line between the performer and the performed in an almost hyper-defined way, which is especially discoverable if we approach it first from the side of the imaginary. The difference between an imagined setting or set piece (such as the moon) and a character’s interior projections (say, a fantasized bride-to-be, thought of beneath the moon), is a shared illusion that takes shape and has contours within the actual space of the theater venue. Similarly, we experience our interiority as having “space.” Yet, that perception, with its sense of boundedness, is a product of imagination. The boundary lines that give shape and size to our mental life are concocted imaginatively; it is the same imaginative process that allows us to perceive a performer as a character, and it is the same imaginative process that allows us to deduce a moon and a lover from stage props. Through this practice of the Idyll over the past few years I’ve come to be absorbed in the idea of a phenomenology of the mental image, of the imagination. Here’s what I find increasingly intriguing: objectivity depends on reduction—it excludes, but doesn’t explain, the imaginative phenomenon. Aside from the opposition of subjectivity to objectivity (those boundaries again), there’s the fact of imagination itself, and the image of imagination; one can even start with the image provided by the “visible object”—the so-called objective image. I went back to the Greeks a lot in approaching and re-conceiving the Idyll as an ancient practice, as theater of imagination: the Stoics, notably, understood the image as material, physically impinging upon us and impressing itself upon us. That materiality applies equally to all images, whether of objects in the visible world, directly perceived or depicted in art, or images in our minds, whether memory, fantasy, or projection, or symbol, or vision/eidolon. Although we’d doubt their materiality, images can be considered in their reality or fact regardless of category. A fantasy can be a recognized as fantasy, illusion, but the images of that fantasy can be conceived by us as no less real than any other class of image. Whether or not you ascribe to a weakening of external and internal boundaries—or really, the strengthening of the image in and of itself in its practical, active power (the poetic image included)—how do you think your poetry realizes itself in the “real world”? I mean, first off, do you think poetry realizes itself in the real world? JB: My first impulse is to ask “what real world is that?” But I take the question as an invitation to look at what is meant by “poetry,” and what it might be, what it might mean, if we let it move through and beyond the page, and if we broaden our definitions of language as well. As to how my poetry realizes itself in the world I move around in, I suppose it does so through my books and my other publications, performances, and exhibitions. But I think there are some other areas of poetic realization I’ve only recently become aware of. 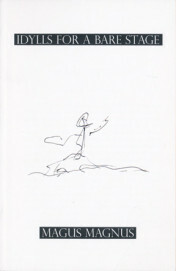 I’m curious about the poet as poetry—living life as a poet and as a poem. I’m also exploring the relationship of embodiment to language. In my Poetic Statement for my part of Troubling the Line: Trans and Genderqueer Poetry and Poetics, I wrote, “What I am is how I work and what I make.” It seems from this that I’m continually, simultaneously bringing forth not only the poem I make but also the poet that makes it. In that light, it seems like we’re both most interested in the blurring of subjectivity and objectivity in ways that place us—as poets, as performers—directly in that unstable zone where the blur occurs. This entry was posted in Uncategorized and tagged Summer 2014 on July 29, 2014 by Kelly.